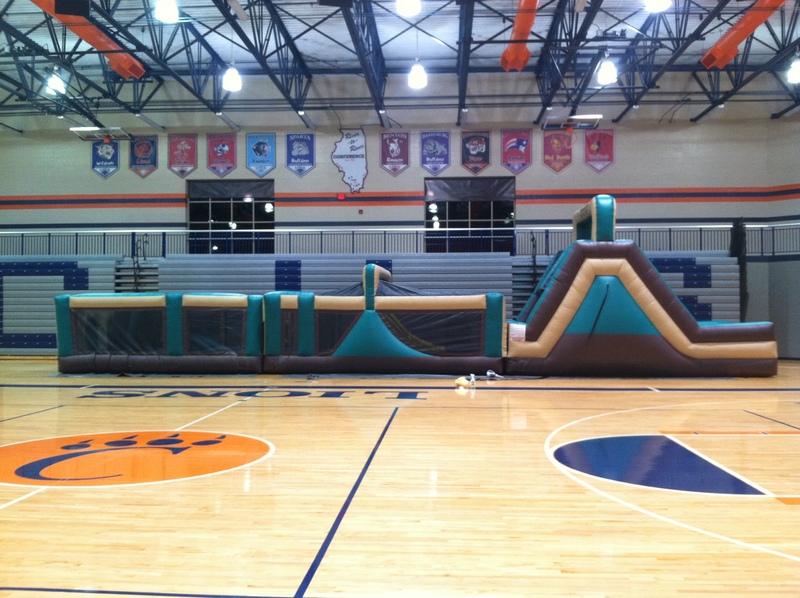 HERO 1-2-3 The HERO 1-2-3 combines our first, second, and third sections of this obstacle challenge. 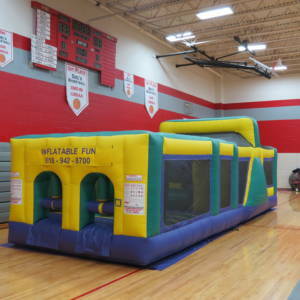 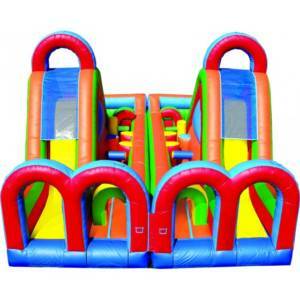 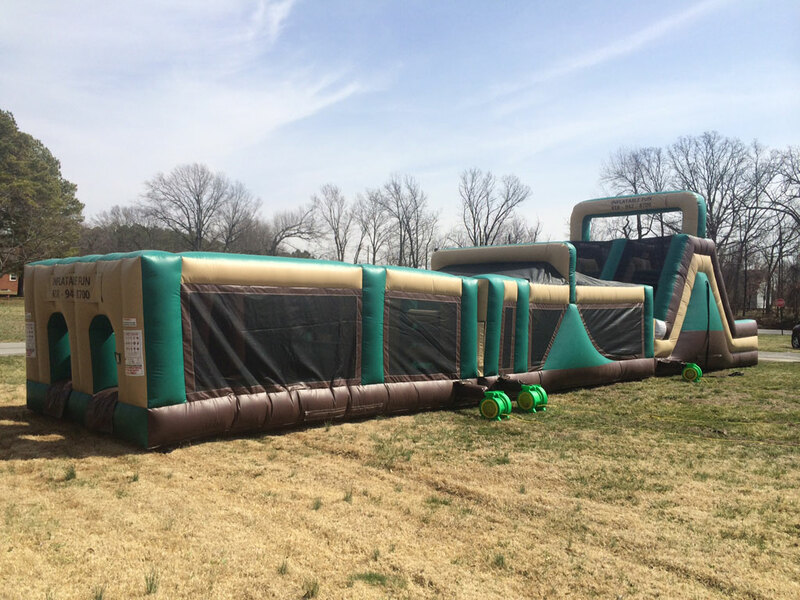 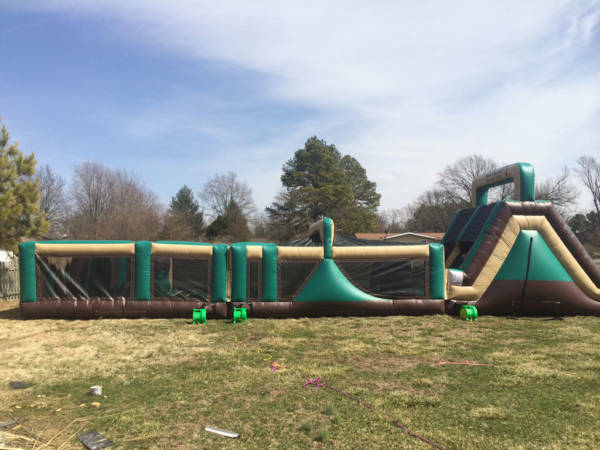 The first 20 feet will have the kids battling through the horizontal and verticle barricades and squeezing through the “squeegee” obstacles, then racing to the top of the giant 16’ slide to see who can get to the bottom first. 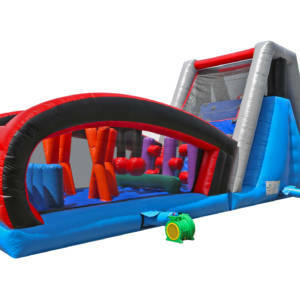 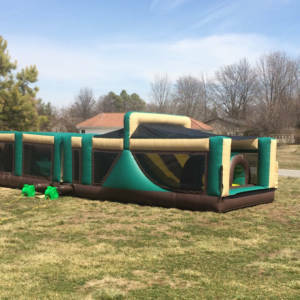 This unit is brand new in 2014 and will have all of the kids worn out from having so much fun.